Quotables: JOY: Listen to me. Never speak on my behalf about my business again. A Word from the Guise: This reality-blurring biographical account of American entrepreneur, Joy Mangano, starts out very slowly like a roller coaster. You’re unsure whether it’s ever going to pick up momentum until about 20 minutes into the film, when Joy pitches her product to QVC. We’ve suddenly reached the zenith of the roller coaster. And we spiral down into chaos as Joy hits misstep after misstep. She’s quickly hardened in her dealings with greedy business executives, and at the climax of the film she proves yet again that she is an Oscar-worthy actor. 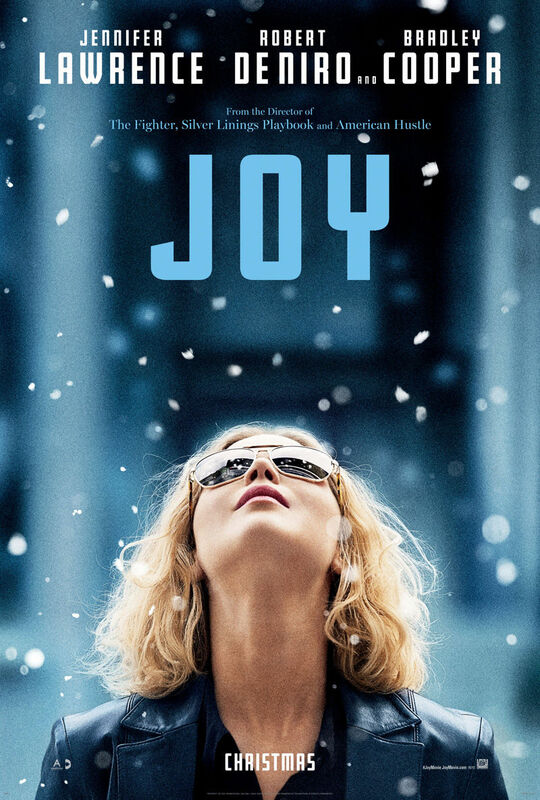 It is not my favourite David O. Russell film, but it is certainly a right-side better than American Hustle. While I might be a little too generous in my predictions for Oscar nominations, I am almost certain that Lawrence will earn her fourth nomination.